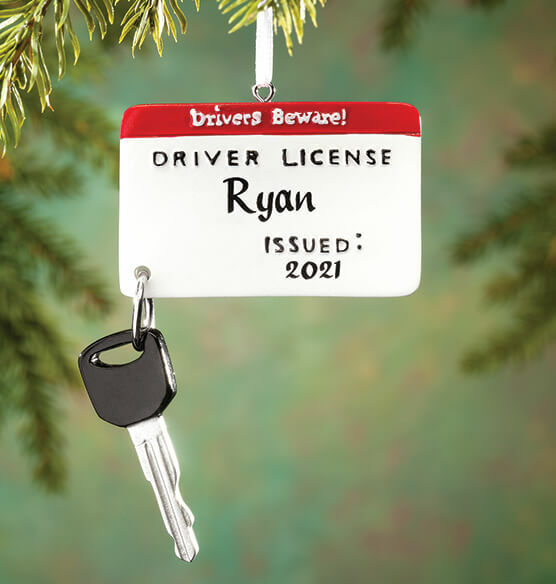 Celebrating one memorable milestone and many miles to come, this Personalized New Driver Ornament will be personalized for one special new driver! Complete with a tongue-in-cheek warning, "Drivers Beware!" 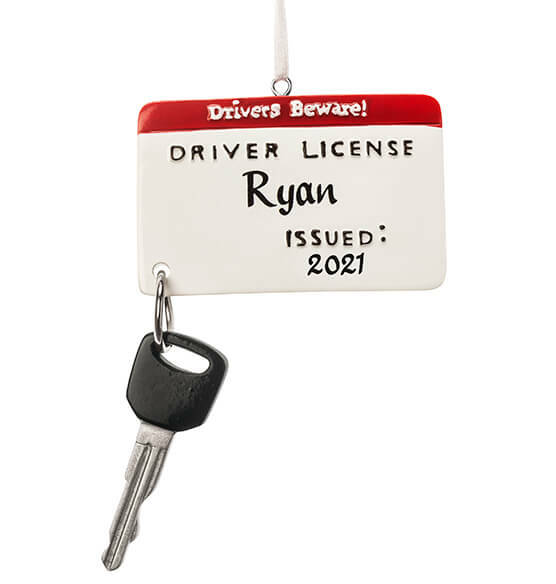 We'll personalize with the new driver's name, and year the license was issued.